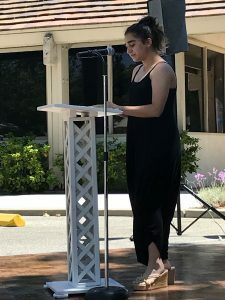 Westlake High School student Amina Pasha is lending her time and talent to CSCVVSB in a very unique way. An avid Girl Scout since her Brownie days in second grade, Amina is working toward a Gold Award, the highest recognition available in Girl Scouts. For her Gold Award project she decided to create a tool to help people affected by cancer release negative feelings through artistic expression. The result is the Feelings and Emotions Interactive Journal, now available on Amazon, with all proceeds going to CSCVVSB’s cancer support programs. When Amina learned about the Kids Circle group offered by Cancer Support Community, she was grateful that other young people had a support system, and she decided to work with the group for her Gold Award project. Kids Circle is a professionally led group for children and teens with a family member fighting cancer. In addition to the interactive journal, Amina created a video that shows the benefits of Kids Circle for children and their parents. The video will be a valuable resource for orientation leaders at CSCVVSB to show new members how Kids Circle can help their families. 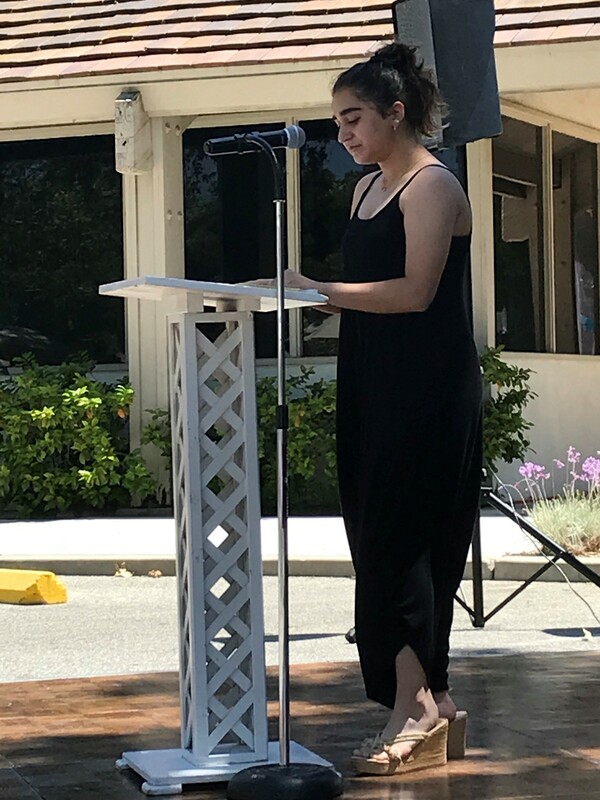 Amina was also a featured speaker at the CSCVVSB Cancer Survivors Day Picnic in June 2018 (pictured above). 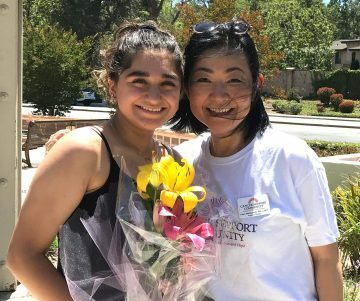 Heading into a busy junior year at Westlake High School, Amina is the director of fundraising for the Southern California region of Junior State of America, a student led nonprofit organization. She also owns an organic soap line called NatNatNatural and serves as president of YEACal, an entrepreneurial organization for teens.